Have you ever stuffed strawberries with creamy fresh goat cheese? Wait until you see how easy this low-carb appetizer is. 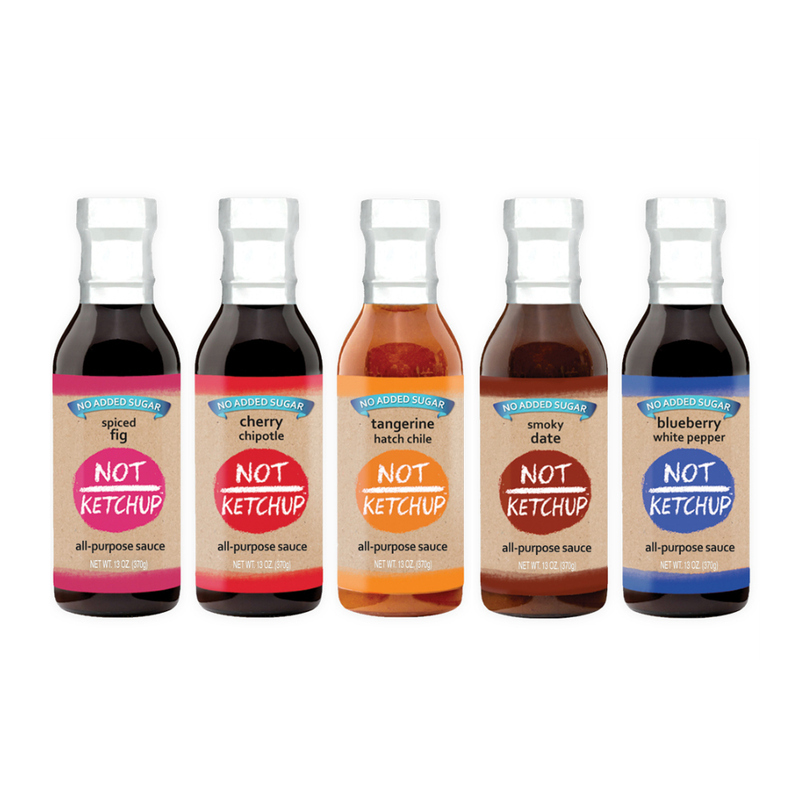 It's perfect for summer entertaining, whether you're hosting a backyard barbecue or throwing an elegant dinner party. If you have any guests who are following a low-carb diet or are gluten free or vegetarian, they will really appreciate this simple snack. This hors d'oeuvre shows off the savory side of strawberries and brings out their natural acidity. 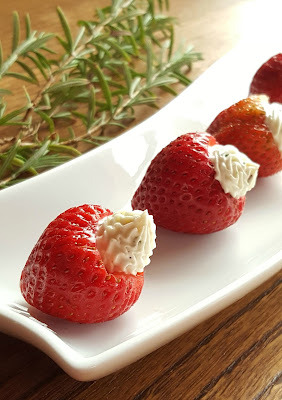 I love the combination of sweet, fragrant strawberries and creamy cheese flecked with minced rosemary and lemon zest. All you need are five ingredients, a paring knife, and some practice with a piping bag. 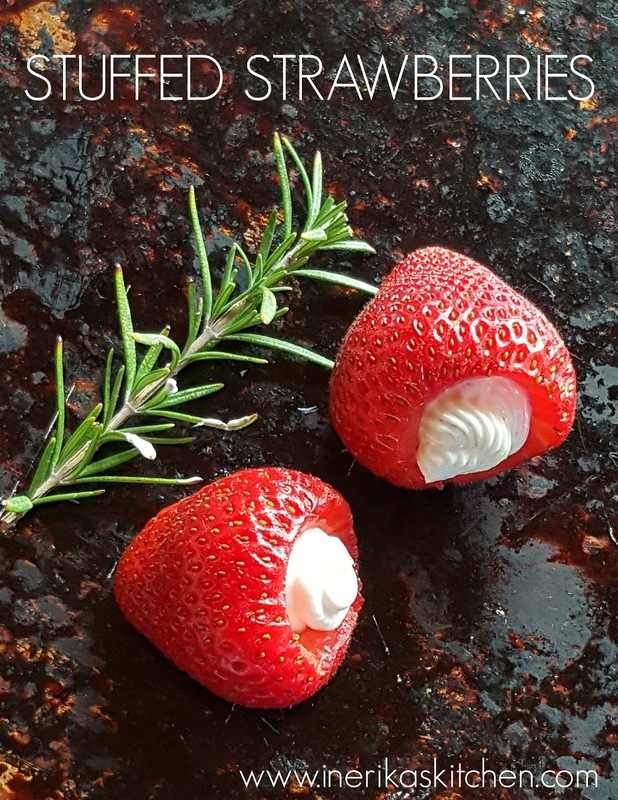 I made a batch of these stuffed strawberries for the June meeting of Food Bloggers Los Angeles, our local blogging network. They were good, but then I had a flash of inspiration and sprinkled them with a tiny bit of salt. Sounds weird? It totally worked. Don't skip the sprinkle. Note: You may have extra filling. It's delicious spread on toast, or you can use it to fill hollowed-out cucumber cups, cherry tomatoes, roasted mushrooms, or grilled zucchini boats. 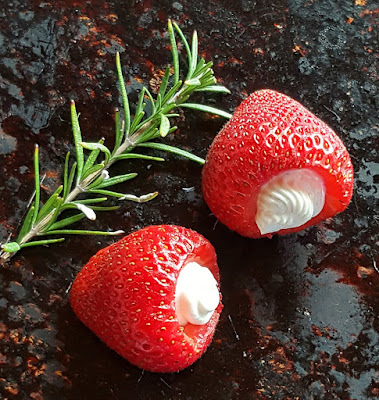 Ripe strawberries stuffed with a combination of fresh goat cheese and cream cheese flecked with rosemary and lemon zest. A wonderful summer appetizer that's low-carb, gluten free, vegetarian and grain-free. Wash the strawberries. With a small paring knife, remove the hull (leaves). Cut a small circle into the top of each berry to make a small cavity. Place the berries upside-down on a paper towel to dry while you make the filling.Put the goat cheese, cream cheese, lemon zest and rosemary into the bowl of the food processor. Add a pinch of salt and a generous grind of pepper. Blend until smooth. Transfer the cheese mixture to the piping bag.Carefully fill each strawberry with goat cheese, creating a decorative swirl on top. Sprinkle with a tiny bit of additional salt. Garnish with the additional rosemary springs. Serve immediately. This was one of my favorite things from the meeting! I might or might not have taken 6 of them home with me. And I might or might not have eaten 3 of them in the car on the way home. These look AMAZING. You should link this up over at Sustainable Sundays :) It would be perfect for people who grow strawberries and make their own cheese. Wow, these look and sound so good! I have everything to make these except the goat cheese so it looks like I'm going to the store!